Your Dental emergency is our Priority! We have appointments available every day for Dental Emergency. Any dental problem that requires immediate treatment in order to save the tooth, alleviate severe pain, treat a dental infection or stop ongoing tissue bleeding is considered a dental emergency. If any of the following issues occurs, it is important to contact us immediately. Call us immediately for an emergency appointment. If after hours call 000 or get to the nearest hospital asap. If adult, insert the tooth back in its original location and use a tissue or cloth to hold it in place. if child, store the tooth in a container with milk. Please call the friendly team at Heritage Dental Group on 07 38783384 for any dental emergencies immediately, so that we can arrange an appointment as quickly as possible. If you live in the surrounding suburbs, we will try to see you as soon as you can get to our dental clinic in Indooroopilly. If it is outside business hours please leave a message and we will call you as soon possible, and we will arrange an immediate appointment. In the event of an emergency that requires immediate attention or involves a medical complication, go to your closest hospital emergency room, or consider calling an ambulance, Dial 000. Some quick tips from Australian Dental Association on what to do in a Dental Emergency? 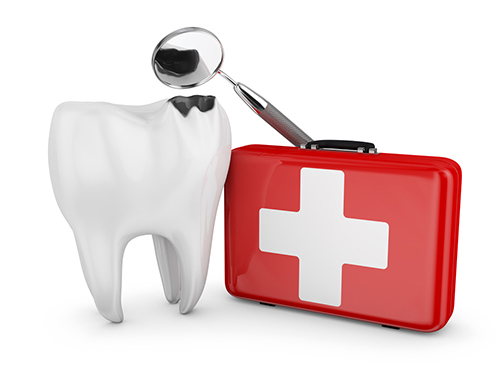 Prevention is better than cure – 6 & 12 Monthly Checkups to prevent Dental Emergency! Early detection of decay and gum-disease is always less painful and definitely more cost-effective. We recommend a routine 6 and 12 monthly check up at Heritage Dental Group. This may include necessary X-rays and dental hygiene instructions to help improve your oral health. Regular check-ups are essential for the prevention of a dental emergency. Please call our friendly team to discuss your oral health concerns and schedule appointment with Dr Singh.